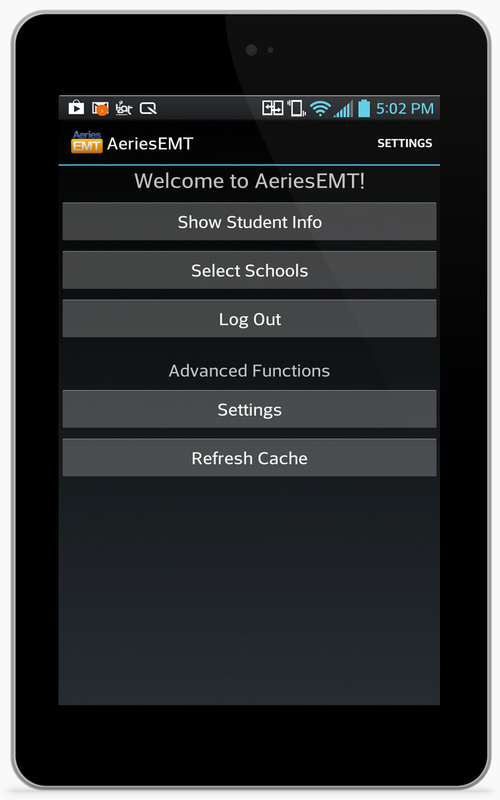 Aeries EM2 (formerly EMT) is a specialized application designed to provide school and district administrators with untethered mobile access to student information when they need it most. It's fully available on most mobile iOS & Droid devices. Crucial student data is always within instant reach. 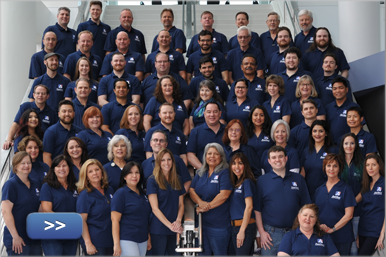 You can look up student demographics, attendance, contacts, discipline, medical log, class schedules, courses, birthdays, and more. 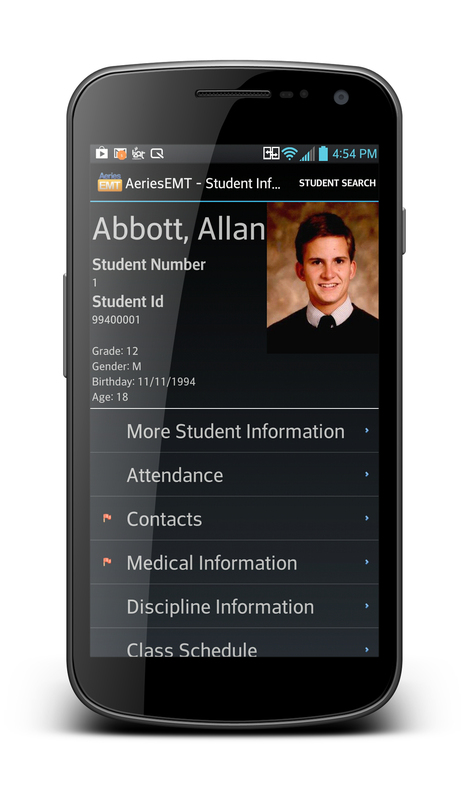 Aeries EM2 App makes it possible for busy administrators to find info on students during emergencies or normal daily activities from any location without the need to return to their office.